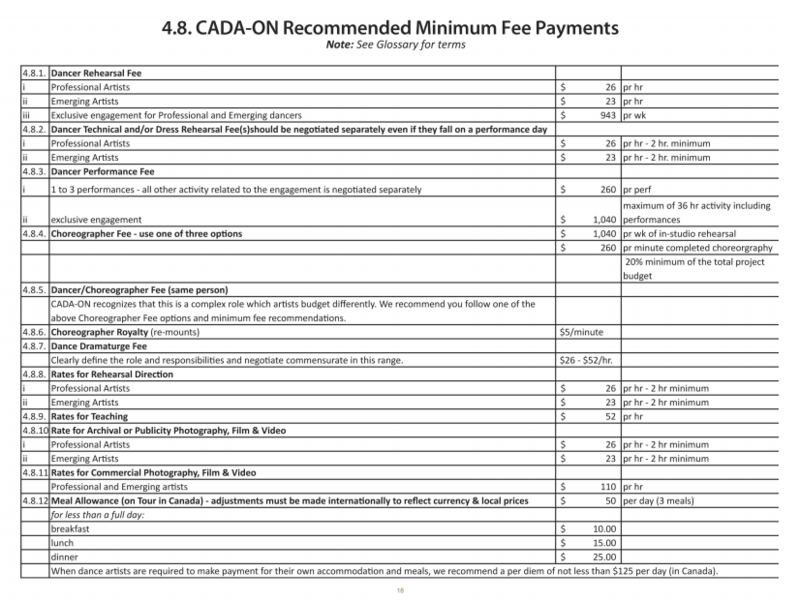 CADA-ON recently updated their Professional Standards for Dance. CADA/West is in the process of doing this too! You always have a contract when you engage in any type of dance work, right? Would you sign a contract you haven’t read? 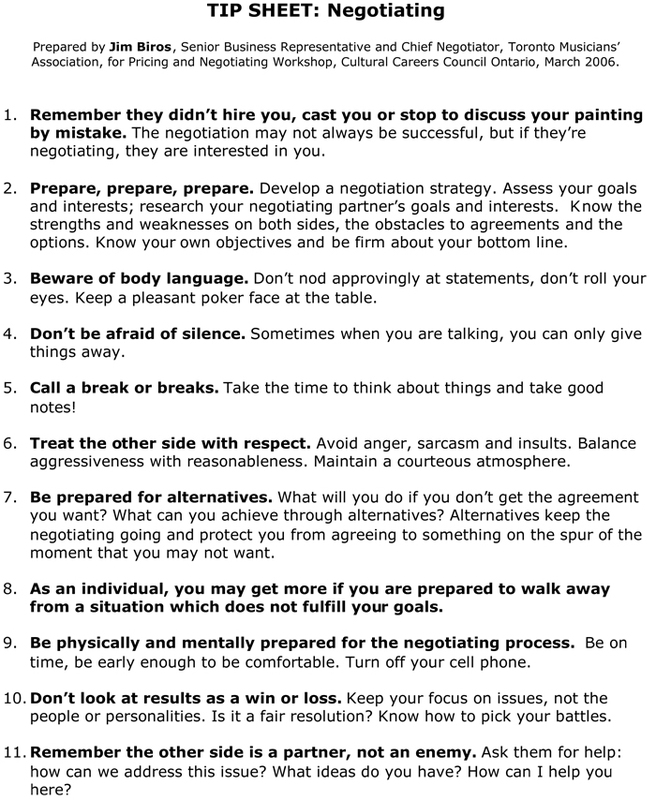 The following is an abbreviated list of contract ‘do’s’ by Melanie Lockwood Herman of the Nonprofit Risk Management Center. Most instances of ‘non-profit’ can be exchanged for ‘artist’. 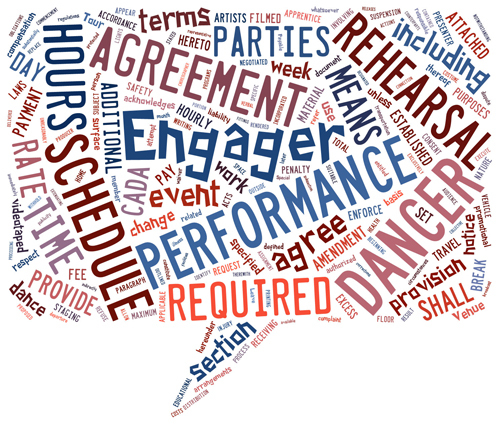 These guidelines, developed by Canadian Dance Standards, are a resource to help teachers, studio owners and directors understand the issues behind dance teaching contracts and the negotiation process. 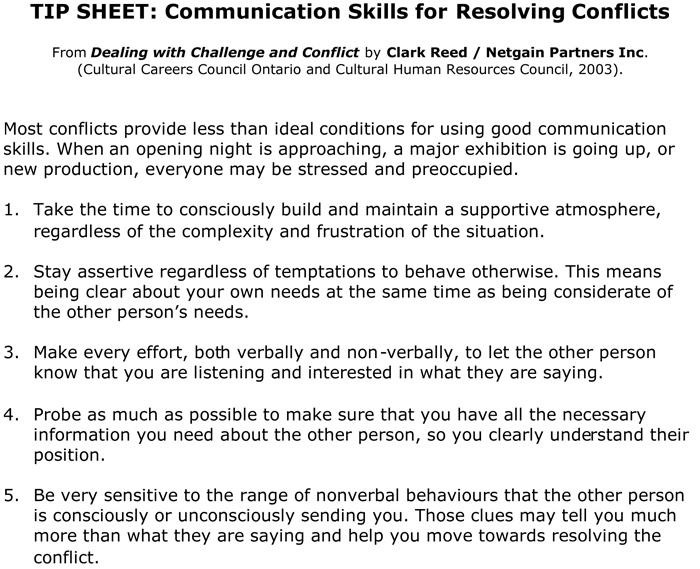 Download this Artist Negotiation Tool Kit, provided by The Canadian Network of Dance Presenters, to help presenters and artists in sorting out the details surrounding a performance. 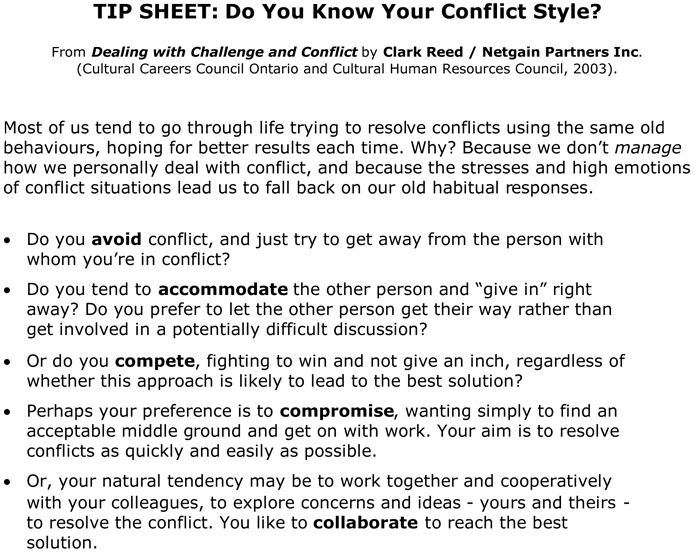 Tip Sheet: Do you know your conflict style?